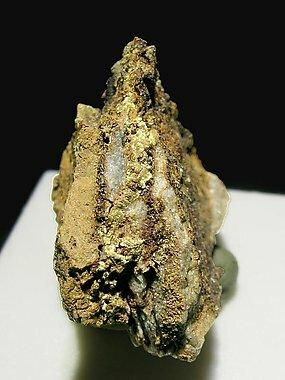 Small globular and leafy aggregates of yellowish and black color, on matrix. The sample has a label of the collection of Juan Viñals, one of the describers of the species. Small globular and leafy aggregates of yellowish and black color, on matrix. 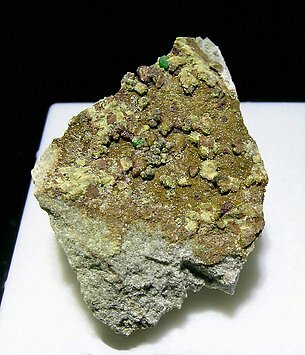 On the Cobaltarthurite there are small green spherules of Conichalcite.